Oliva Carpet Care is the Proud Winner of The Oakville Awards by Oakville Today from 2007 to 2012. 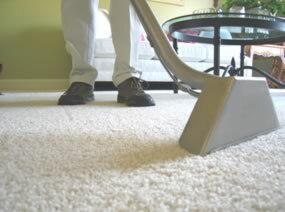 Carpeting in Your home is a major investment in regular carpet cleanings are necessary to keep it looking new. Accumulated soil and spills contribute to reduced carpet life. They also enable destructive and health harmful dust mites and bacteria to thrive unnoticed. Carpet Cleaning costs are minimal when you consider the replacement costs so regular carpet cleaning makes economic sense too. Oliva Service carpet cleaning, rug hand-washing and upholstery cleaning experts use only the most powerful and effective carpet cleaning equipment— truckmount manufactured by the industry leader, Hydramaster. We invest our time and money in the latest technologies so you can enjoy the benefits of cleaner and healthier carpets. We are the only company in Oakville , who uses an on board water softener system ! Step 1: We inspect the carpeting or upholstery to be cleaned—locating and identifying any soil, stains and odours. Step 2: We vacuum to remove the dry particles. Step 3: We select special cleaning and spotting agents that are specifically formulated for the task at hand. With our professional spraying instrument, we carefully pre-treat any areas of concern. Step 4: We use a deep steam cleaning (hot water extraction) process to clean and vigorously rinse away remaining dirt particles and stains with our truck-mounted cleaning system. Step 5: We do a final inspection to ensure we have met your carpet cleaning expectations. Step 6: If requested, we can apply DuPont Teflon® protection after cleaning, making your carpet, rug or upholstery stain resistant. Step 7: We conduct a final carpet grooming. The step will rejuvenate crushed and matter carpet fibers—causing them to spring back to life. In case of pet stains and odors caused by urine or feces, we enhance our cleaning process with a deodorizer. We pre-inspect all areas with black light. This helps us to locate otherwise invisible pet stains. We treat the stains with specially designed odour-Neutralizing deodorizers, let it infiltrate the carpet, and then rinse and extract the deodorizing product to completely remove all the residue. This is done by another hot steam cleaning using just pure hot water, no chemicals. As always, we guarantee your satisfaction, If stains come back , so do we !! We will re clean all areas at no charge.